Just what is love? Philosophers, poets and song writers have been asking that question since the beginning of time. To music journalist Rob Sheffield, love is a mix tape. The author has chronicled the cross section of music and love in debut book called Love is a Mix Tape: Life and Loss, One Song at a Time. Long before people downloaded music into their smart phones or other hand-held listening devices with their favorite music, they made mix tapes. Mix tapes were very personal. Not only did they reveal some of our favorite songs, they also revealed our hopes, desires and thoughts. Mix tapes were therapy on a magnetic strip. Rob Sheffield is no different from every music obsessed Generation X-er. A total music geek, he found solace and a reason for being through his love of music. Starting as a young child, he DJ-ed at school dances, collected albums and tapes like baseball cards and debated the merits of different bands with his friends. In the late 1980s, Sheffield met Renee. Renee couldn’t have been more different from Rob. He was tall; she was short. He was a shy geek from Boston. Renee was an extroverted Southerner. The only thing these two seemed to have in common was an intense love of music, and it seemed music was all they needed. The two soon fell in love and were married until Renee’s untimely death from a pulmonary embolism at the age of 31. Sheffield deftly writes about his all too brief marriage to Renee and he does this with a catalog of different mix tapes he made. Each chapter starts with a different mix tape, complete with the names of songs and artists. Some tapes are for making out, some for dancing and some for falling asleep. Sheffield proves to be no music snob, mixing top-40 guilty pleasure pop with the alternative music of the 1980s and 1990s. Each lovingly crafted mix tape conveys an intricate detail of the sometimes loving, sometimes rocky, and all-too-human relationship between two very interesting and complex souls. Love is a Mix Tape had me riveted. Sheffield is an amazing writer, handling his love of music and his love of Renee with tender loving care. He gives an intimate glimpse into his marriage without revealing too many intimate details. The marriage of Rob and Renee is never conveyed in a way that is too saccharine or maudlin. These are two very real people who seemed to leap off the page. Often when men write about the women in their lives they do it more as a reflection of their own egos rather than writing about these women as three-dimensional human beings. Sheffield does not fall into this trap. I really felt I knew Renee. In fact, I wish I knew Renee. She was an Appalachian Auntie Mame who told her husband to “Live, live, live!” and tells the reader to do the same. And even though I began reading Love is a Mix Tape knowing of Renee’s death, I was still very shocked when it happened. How could this ebullient soul not be cavorting somewhere on the planet? And Sheffield’s grief was so palpable I felt a dull ache in my heart as he described existing as a young widower. I highly recommend Love is Mix Tape to anyone who considers music as vital as breathing and knows only too well the ecstasy and heartbreak true love can bring. Rob Sheffield has written an amazing book. I hope he has more books in him. To learn more about Rob’s affiliation to write about love and music please check out my review of his book Turn Around Bright Eyes: The Rituals of Love and Karaoke. Rock journalist Rob Sheffield just gets it. He understands the importance of music and how it shapes our lives. In his first book, Love is a Mix Tape, Sheffield wrote about the power of mix tapes in a relationship and the sudden death of his first wife. 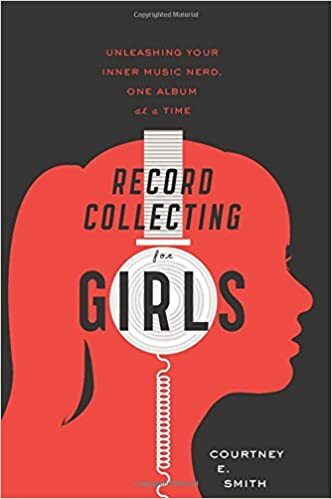 In his second book, How to Talk to Girls About Duran Duran, Sheffield wrote how pop music (and loving and meddling sisters) helped him relate to girls during his awkward adolescence. Now Sheffield is back with his latest book, Turn Around Bright Eyes: The Rituals of Love and Karaoke. It’s early 2000s New York City, and September 11th was about to break the heart of the city that never sleeps. Rob Sheffield had just moved to Manhattan after living in Virginia. He was a devastated widower, losing his wife Renee, and trying to get his life back together. Professionally, he was successful, working for Rolling Stone. But personally he was a wreck. Then Sheffield discovered karaoke. One night his friends dragged him to a West Village karaoke bar. And it’s not too far off the mark to say, singing along to the likes of Journey, Bon Jovi, and David Bowie gradually gave Sheffield’s life some meaning. And soon it would give him so much more. It was during this time, Sheffield met another karaoke devotee, a young woman named Ally. Ally was a student, studying to be an astrophysicist, and working as a DJ. Not surprisingly, Sheffield and Ally bonded over music (though Sheffield did think he blew it when he mentioned his favorite Pavement disc is “Slanted & Enchanted” and Ally’s turned out to be “Wowie Zowie”). Soon Sheffield began the uncertain journey of mending his heart, making his way from widower to boyfriend to husband, with karaoke as a musical way to express himself beyond the written pages of “Rolling Stone” and a way for him to connect romantically with one very special woman. But Turn Around Bright Eyes is about so much more than finding love the second time around and the merits of karaoke. Sheffield writes about those awful days right after September 11th that made me feel I was truly there. I nearly smelled the smoke of the destroyed World Trade Center, and I could see the shell shocked faces of shattered New Yorkers. On a lighter note, I enjoyed the Sheffield’s musings on his new home in the Greenpoint section of Brooklyn and the love he has for his boisterous Irish-American family. And then of course, is Sheffield’s unwavering devotion to music. Sheffield is no rock snob. He writes without irony about the merits of Rod Stewart, Rush, and Neil Diamond. One of my favorite chapters is about Sheffield’s challenging week at Rock and Roll Fantasy Camp. Sheffield can’t play an instrument, so he becomes the lead singer of his fantasy camp band even though he admits not having the best singing voice. He also hones his mad skills with a tambourine nearly injuring his thighs in the process. Hmm, who knew the innocent looking tambourine could be so dangerous? While at camp Sheffield and his fellow campers are mentored by rock and roll greats…and not so greats. Thanks to Sheffield I am now aware George Thorogood is a really cool, down-to-earth guy (hmm, I guess good old George isn’t “Bad to the Bone”), and Eric Burdon is kind of a jerk. Hmm, the more you know. It’s in this chapter where Sheffield also relates how he has embarrassed himself in front of his musical idols like Johnny Marr of the Smiths. This is one of my favorite attributes of Sheffield. He’s not afraid to express what a vulnerable, clumsy and lovable geek he can be at times despite his years of interviewing rock stars. I also want to thank Sheffield for introducing me to the term “Rockholm Syndrome,” a phrase his “Rolling Stone” colleague, Alexis Sottile coined. What is Rockholm Syndrome you ask? It’s when you hear a song you pretty much hate so many times that you eventually begin to like it. My Rockholm Syndrome song? Well, thanks for asking. It’s “Don’t Stop Believin’.” I’ve never been the biggest Journey fan, but when this song was done on the first episode of Glee (R.I.P. Cory Monteith) I must have listened to their version about 836 times in the following week. I became obsessed with that song. Sheffield titles each unique chapter with the name of a song. Many of them you will know like “Rebel Yell,” “Livin’ on a Prayer” and “Total Eclipse of the Heart,” which lyrics “turn around bright eyes” give Sheffield’s book its notable title. And some chapter titles are of songs that are a bit more obscure like the Irish classic “Bold Thady Quill.” All of these song titles have a way of connecting with each chapter’s content and set the stage for Sheffield’s musical musings. And of course, there are Sheffield’s musings on the virtues of karaoke. I always found karaoke cheesy, but thanks to Turn Around Bright Eyes I now have a more open mind about it, though you won’t find me singing “What’s Love Got to Do With It” at my local karaoke bar any time soon. Somehow I’m not surprised Sheffield could write about karaoke with both humanity and heart. Sheffield has that unique gift of being able to write about music, loss, music, love and life in general in down-to-earth, amusing and friendly style that draws you into his world without being totally TMI. If Sheffield didn’t exist, we’d have to invent him. And his latest memoir, Turn Around Bright Eyes, should be a welcome addition to any music lover’s literary collection.